A.J. 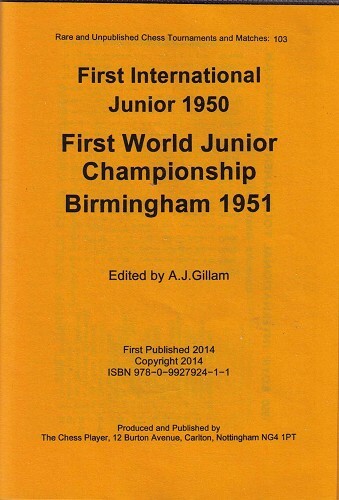 Gillam: First International Junior Birmingham 1950 & World Junior Championship Birmingham 1951. 21 games (partly annotated) from the tournament 1950, won by Björn Häggqvist, Sweden (8½/11) before John Alexander, England and Edgar Klaeger, Germany (8/11). 98 of the 99 games (partly annotated) from the tournament 1951, won by Borislav Ivkov, Yugoslavia (9½/11) before Malcolm Barker, England (8/11) and R.C. Cruz, Argentina (7/11). Nottingham 2014. ISBN 978-0-9927924-1-1. 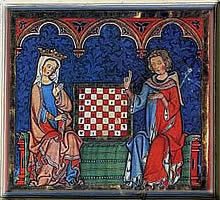 Rare and Unpublished Tournaments and Matches (103).